At our house, we just love books. And we happen to have lots of ’em. As a child, adolescent, and adult, I have always loved reading. As a first grade teacher, I loved teaching kiddos how to read and watching emergent readers blossom. 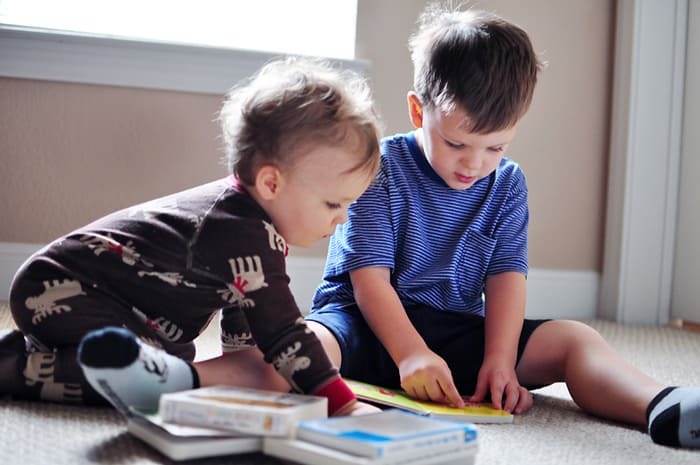 And as a mom, I love fostering in my kids a foundation for literacy from a very young age. 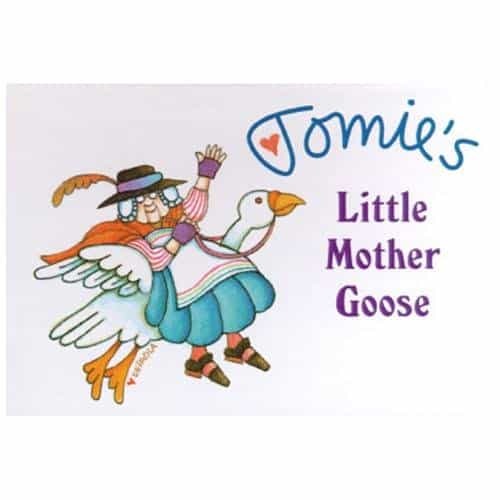 So today I’m going to share with you the most popular and beloved board books that have lined our nursery book shelf for going on six years now. I started collecting board books when I became pregnant with my first son, and over the years we have considerably added to our little library. Our very favorite titles have been gnawed on and flipping through and read by three sweet babies now, and it always warms my heart that, even though my children quickly outgrow the board book stage, they continue to enjoy revisiting those same books again with a younger sibling. I think that books make the best gifts, so my kids always receive a few new books every time a birthday or holiday rolls around (Santa and the Easter Bunny are very education-minded around here). We frequently gift books to others as well. And if my kids have earned a special treat or if we’re trying to come up with an outing that will please everyone, a trip to the library or book store is always eagerly anticipated. 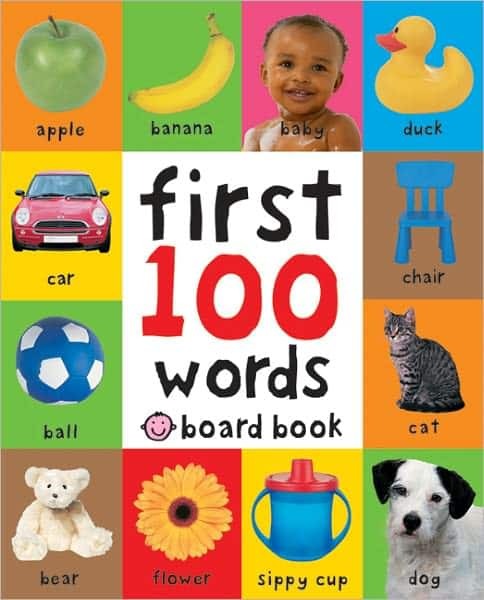 So without further ado, here is a list of the board book titles that we have committed to heart and still love, despite having read them eleventy billion times. Who doesn’t already know and love this book? It’s the quintessential bedtime classic. I always considered it my favorite book from childhood, not realizing until I was much older that 99% of the U.S. population also feels the same way. I mean, what’s not soothing about a comb and a brush and a bowl full of mush? 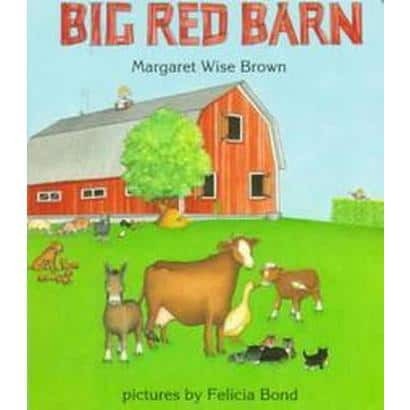 While we’re lauding the genius of Margaret Wise Brown, we must not forget The Big Red Barn. 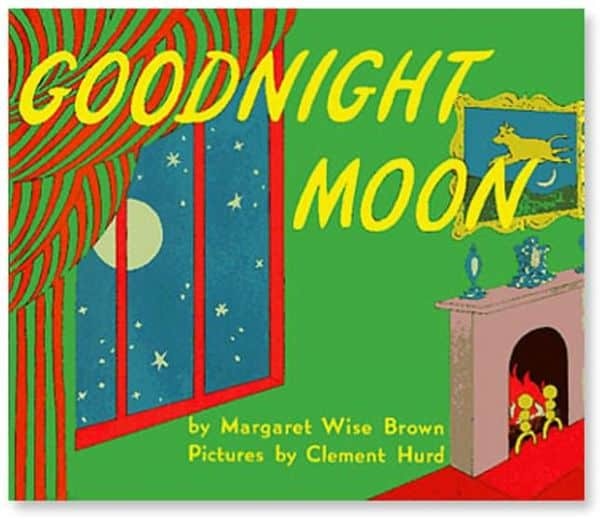 As much as Goodnight Moon was a part of my childhood, I’m a little embarrassed to admit that I had never read The Big Red Barn until I received it as a gift when I was expecting my first child. 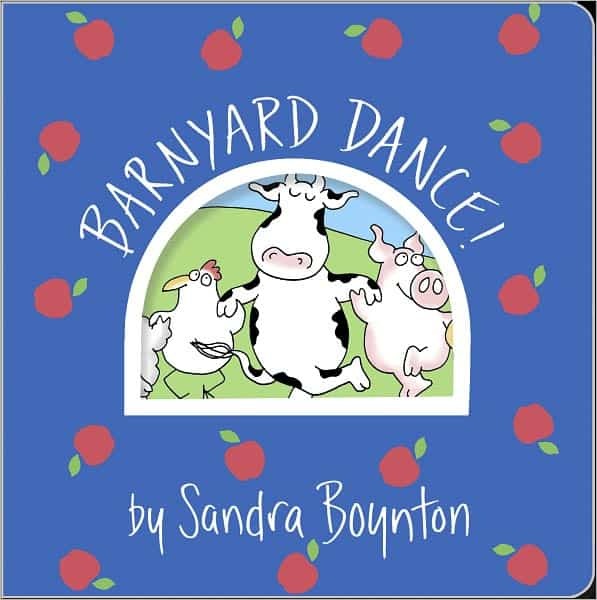 Much like Goodnight Moon, it has a soothing rhythm and happy pictures that make it just perfect for winding down busy little minds and bodies at bedtime. 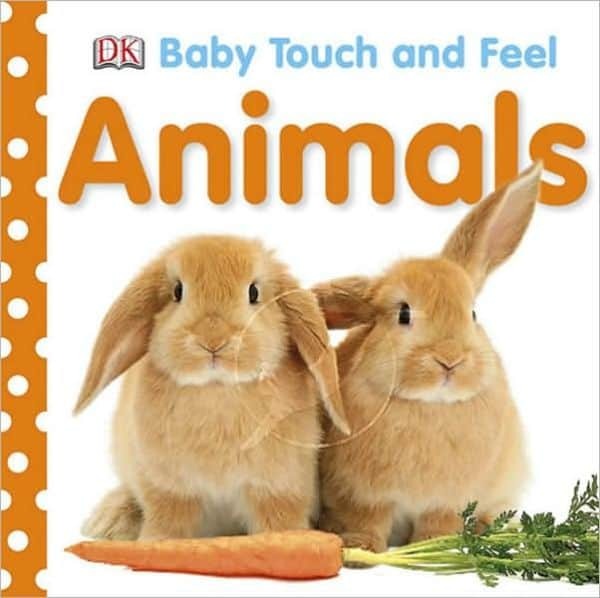 Karen Katz can be credited with widely popularizing interactive lift-the-flap books. My little ones never tire of (wait for it!) lifting the flap to look for hidden toys or body parts or family members. Talk about fun for everyone! When it comes to building a solid foundation for literacy, you just can’t beat Dr. Seuss. Between the rhythm and the rhyme, the silly stories, and the imaginative pictures, Dr. Seuss classics (and they’re all classics) are innately appealing to children. 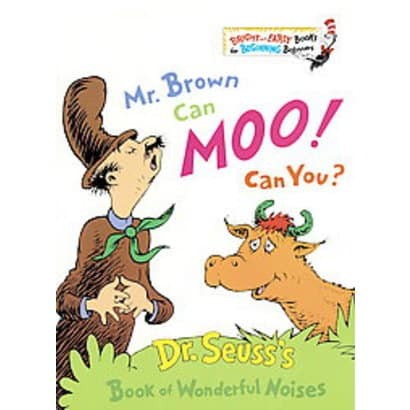 As babies and toddlers, my boys especially loved Hop on Pop, There’s a Wocket in My Pocket, and Mr. Brown Can Moo! Can You? It’s worth noting that this series of board books also includes titles by Dr. Seuss’ other pen name, Theo LeSieg, as well as Seuss-esque books by other authors, such as P. D. Eastman’s Go, Dogs, Go! They are all great. 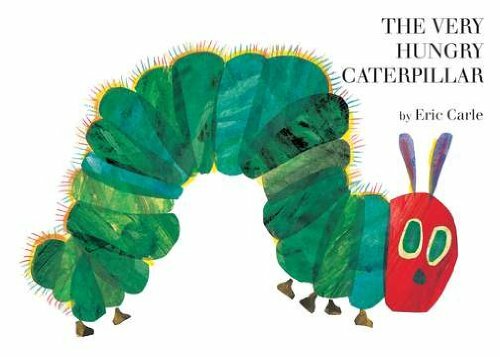 Eric Carle is another timeless author and illustrator of children’s books. His simple stories and gorgeous hand-painted collages make for books that never grow old. My older son’s favorite as a toddler was The Very Busy Spider, and my younger son loved The Very Hungry Caterpillar so much that we ended up using that as the theme for his second birthday party. The Very Quiet Cricket is another fun Carle title in board book form, as you get to hear the crickets chirping at the end. In my experience, babies love looking at books with giant pictures of other babies’ faces. I don’t think that a particular book or author is important here, but the more animated the facial expressions, the better! 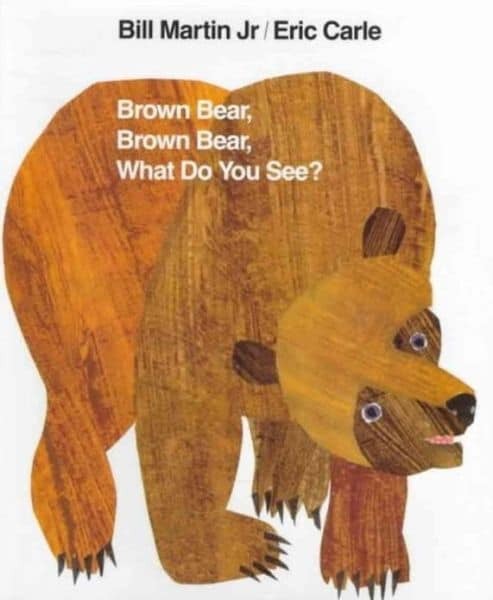 Speaking of the importance of reading repetition for little ones, you can’t get much more repetitive than Brown Bear. 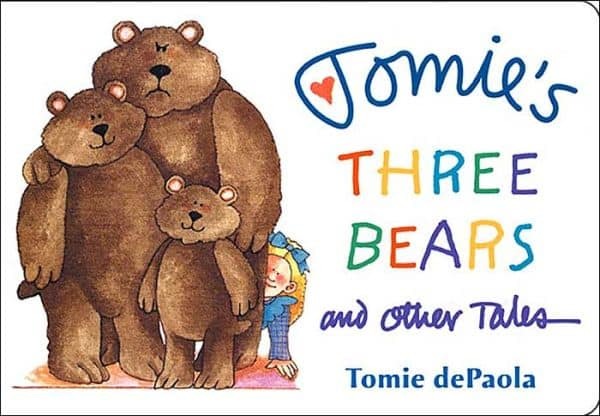 A fantastic book for teaching children that stories have patterns, there are also other variations (Polar Bear, Panda Bear, Baby Bear) in case you’ve read the original so many times that your eyes and ears are ready to bleed. So there you have it…my top ten list of board book recommendations! This list is by no means exhaustive…I truly could go on and on. But if I had to whittle down my baby’s book shelf, these are the authors and titles that all of us would sorely miss. If you enjoyed this list but have older children, check back soon for my lists of Top Picture Books for Preschoolers & Early Elementary Aged Students and Top First Chapter Books for Beginning Readers! Now you tell me. 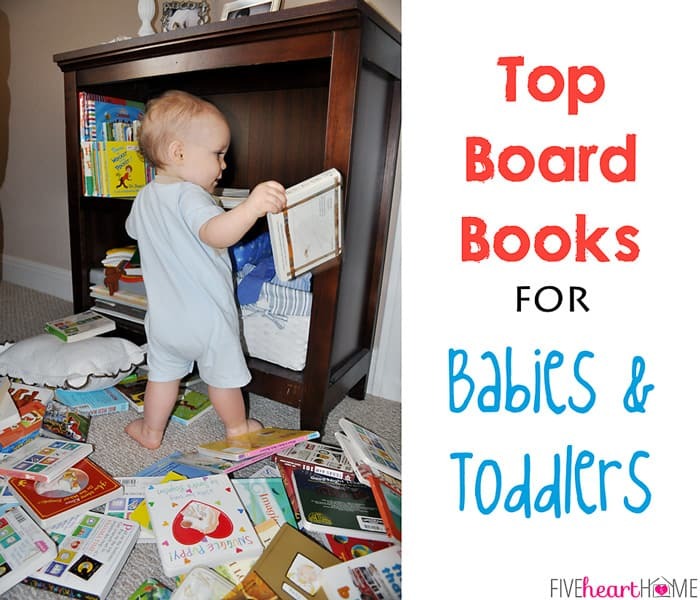 What are/were the most popular and well-loved board books on your nursery shelf?